Is this after the last living cod shoots himself in the head, or is that a different species of fish, and he’s super sad about the lack of fish diversity in the ocean. Maybe they just know what’s coming when all the wonderous species die out. The whole thing goes to hell, so why not end it before it gets totally ugly. 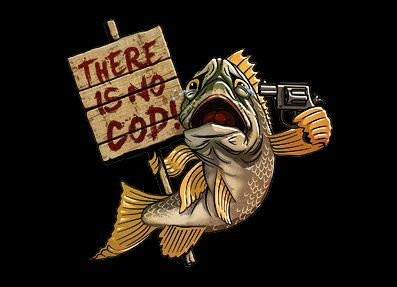 Oh, and cod rhymes with god. Or maybe he shot himself before he could shout there is no codpiece, because he had big plans to go out to THAT BAR tonight, but he couldn’t find his “outfit” and that took him over the edge. Who knows? Totally up to interpretation.